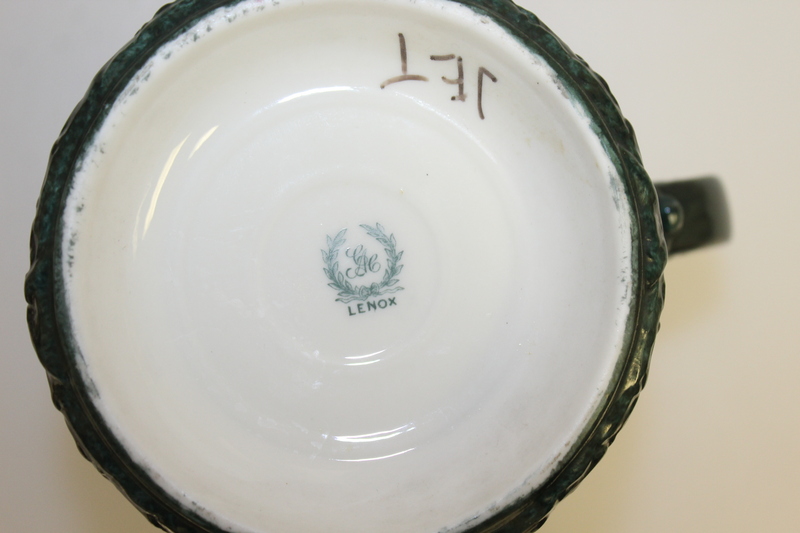 Lennox items know for their fine craftsmanship and delicate yet elegant appearance. 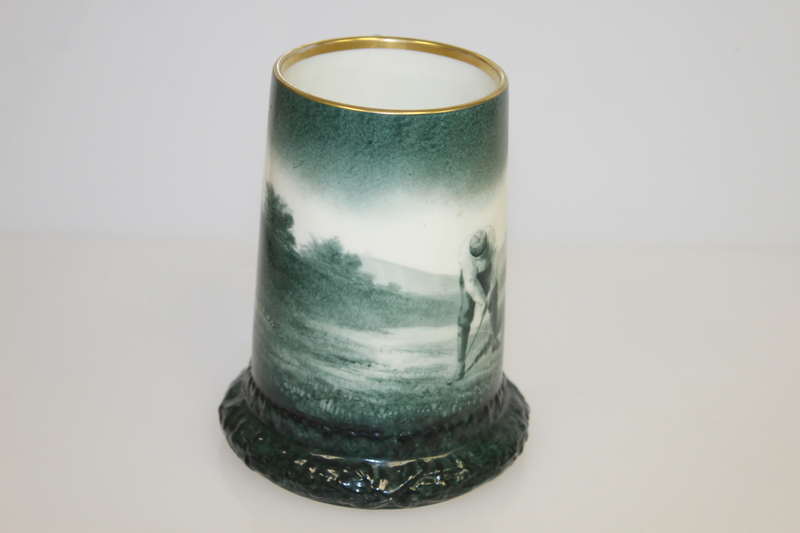 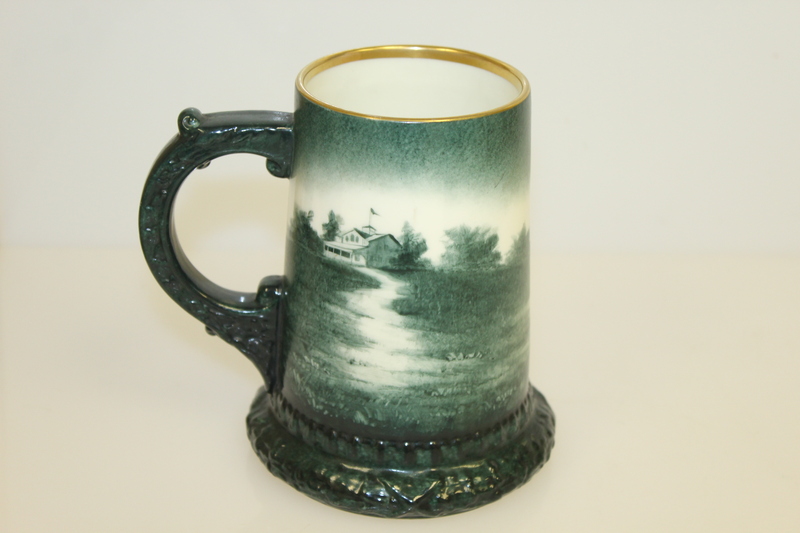 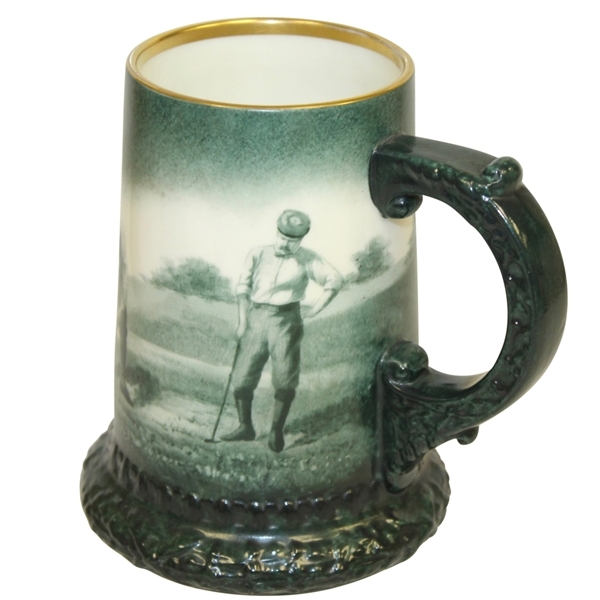 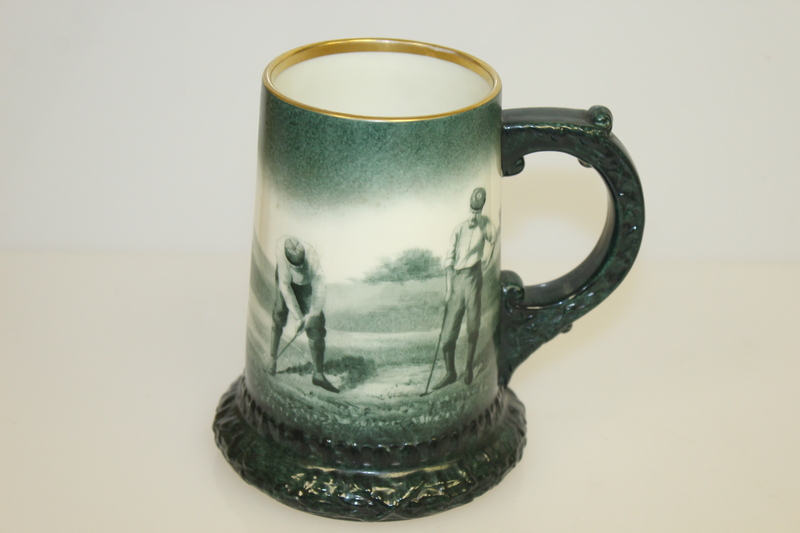 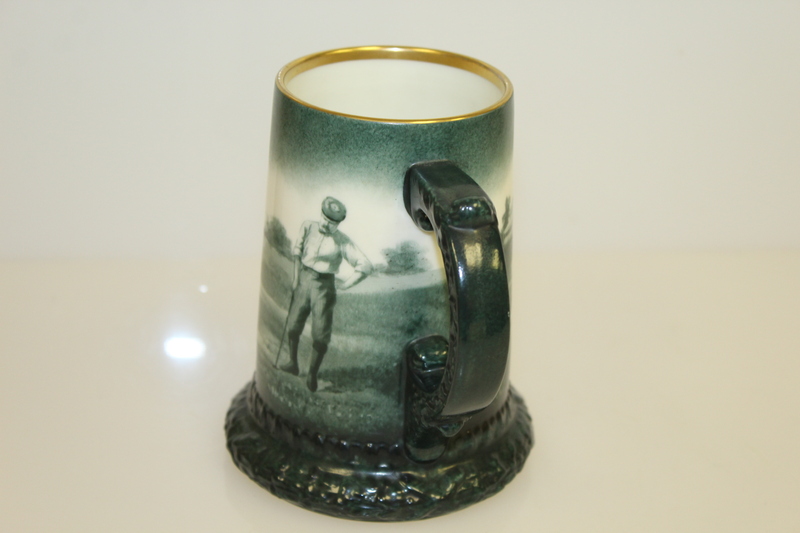 Here we have a Lennox mug displaying an interpretive golf scene in a tints of green. 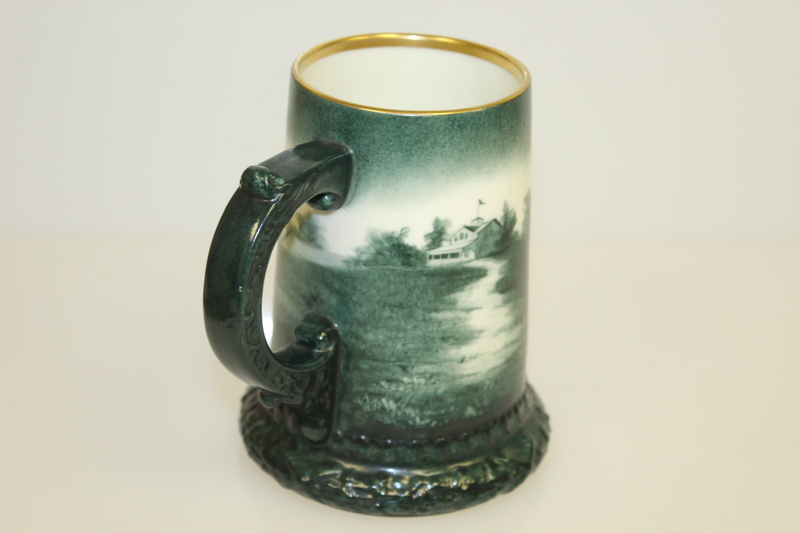 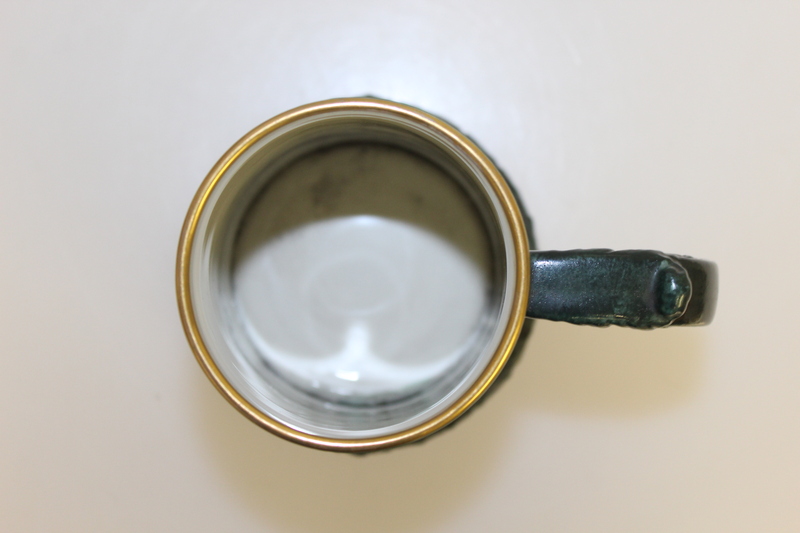 The mug stands 6" tall and is decorated with a gold rim and ornate trim on the handle and base.